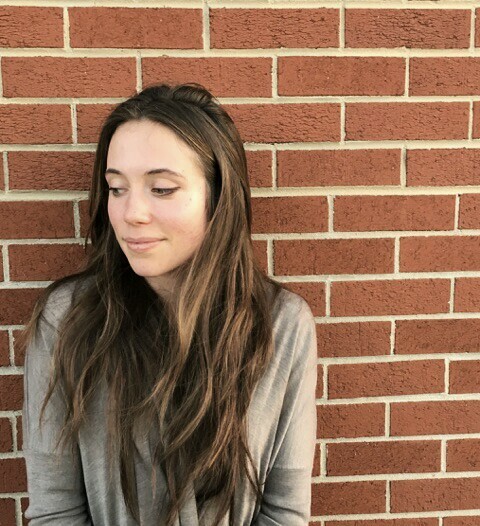 Kirsten Ihns is an MFA candidate in poetry at the Iowa Writers’ Workshop, and will be a Ph.D. student in the English Literature program at UChicago in the fall. She is grateful to Felicity Nussbaum/her book The Autobiographical Subject, from which one of her poems in BWR 43.2 borrows its title. Her poems have appeared or are forthcoming in The Bennington Review, BOAAT, New Delta Review, POOL, The Offing, and elsewhere. She is from Atlanta, Georgia. Black Warrior Review: Your poem takes its title from Felicity Nussbaum’s The Autobiographical Subject: Gender and Ideology in Eighteenth-Century England, which explores an intersectional, gendered construction of identity in canonical British texts. Could you talk a little bit about how Nussbaum informed your writing of the poem, especially with regards to the circuitous, almost palimpsestic iterations of “version:” that give structure to its swerves? Kirsten Ihns: -Sure—and, first of all—thank you for this question, and the others; they’re really great. So, I read Nussbaum’s book for a graduate English seminar I took my first semester at the workshop. It was taught by Tom Simmons at UIowa, and we were focusing on 18th century literature. We were reading Nussbaum’s work alongside a number of “autobiographies” and “spiritual conversion” narratives, many of which were written by women, and were published posthumously, or were presented as having been “found”, rather than arranged deliberately by their authors. We were using Nussbaum’s text and these works to think about the genre of autobiography and how women used it to make a space for themselves in a publishing world that was (almost) exclusively reserved for men. Another interesting thing was the idea that these women were, in some ways, “writing” themselves into being; that these were versions of a subjectivity, and, also, a performance/proof of it. That same semester, I was taking another seminar, with David Wittenberg. This one was a theory course, and we read, (among many other texts) Louis Althusser’s essay “Ideology and Ideological State Apparatuses”, which introduces his famous idea of “hailing”—that one is called into being as a particular “role” in a system by being “hailed” as such by someone participating in the system (and that through them [person doing the hailing], the system incorporates you [hailed person] into itself). The best known example is when a police officer says something like “Hey YOU”, and you turn around—in that moment you become the “you” addressed by the police officer—you accept the subject category imposed by the system that is recognizing/addressing you. At least, that’s what I remember of it. But, what it made me think of was my own experience, and I think a lot of people’s, of feeling as though you are many different people, the which-one-at-any-given-moment depending on the context you’re in—i.e. what role you’re “hailed” into, in each space you participate in. I had written an essay a few years ago about, well, film and visual art, but also wondering about an idea of the “self” as the overlap space at the center of a series of intersecting rule sets/contexts/worlds. That was a bit circuitous, but I guess those are the thought processes/influences that drove the poem, for me—the idea that the self can be a performance, that maybe it is always only there when we are doing it. And that writing, both the moment of it (as process), and the thing at the end (that the reader is moving through in real time, though a different time), is a performing-subject: it is inhabitable (sometimes) for a reader—it exists as an object, but it is also a sequence (time-entity) that can be inhabited like a building, like a space. You[reader] are in it with the performing-subject, and, in so doing, you “hail” them into being as such [subject] when you empathize with them as a subject, like you, when you treat the lyric “I” like another person. I loved the idea of a subject called into being many different times, as slightly different “I”s, by different people in different times or moments—that reading a lyric poem is, at its core, a hailing. And, fundamentally, a highly variable one—every reader comes to a poem differently, reads it differently, hails the “speaker” as something slightly different—they[readers] do all hail from slightly different systems, sets of systems. I think that’s partially why the poem took an iterative form—as though trying to know/feel in advance, through the form itself, that this poem will (I hope!) be read multiple times by multiple people. And that it will exist as the intersection of these readings, that that will be its performing-subject. Like the women autobiographers of the 18th century were (perhaps) trying to do, it is trying to enact a kind of subjectivity in the moment of reading. It also feels true to life, for me, in another way. I find I go through my own life trying to “get it right”, in some sense—trying to be the right “version” of myself, or to know what that even is. The poem itself is comprised of a lot of fragments from other poems I wrote during my first semester at Iowa. I realized over the break that I had been writing about the same thing all semester, or, at least, trying to do the same thing in my poems all semester. That they were all “versions” of each other, and through all of them, I was trying to experiment with what it means to perform subject-ness through the lyric “I”, trying to make it happen in exactly the moment of reading or writing. It seemed natural to try to stitch them together like a coherent subject (the truism(s) re: /making a story out of your life to tell yourself about it[your life]/ is certainly a weary one, but is/are, nonetheless, (a) truism(s) for a reason, I think!). I didn’t know any of this when I was writing it, and it may not be true, but, looking back at it, and at what I was thinking and reading at the time, and what feels true about all that, I think that’s the best explanation I have. BWR: The two poems of yours that appear in 43.2 vary quite drastically in length, yet retain a similar sense of line, and spatial dimensions—your words swiftly jetting across the length of the page, then abruptly veering in a clipped staccato. The first, “primer fidelis,” feels punctuated, restrained, and cheekily inhabits the form of a sonnet, while “the autobiographical subject” sprawls and spirals, expanding outward in the sort of “looping non-arrival” that you describe in the former poem. These similar but slightly divergent formal approaches reveal your attention to ideas and permutations of space—the big and little places that bodies inhabit temporarily, and the thresholds that convey them across ambivalent political-aesthetic zones which seem to offer simultaneously to the speaker a candied slice of paradise and glinting edge of knife. Could you speak about how these two poems might be interacting with each other, directly or indirectly, and how you see their respective forms as functions of this ambivalence? How do you see their forms working as mediums for exploring issues of personhood/subjectivity? KI: Again, wonderful question. I do definitely see the poems as related—the ending of “primer fidelis” was exactly the sort of thing I would often, ah, harvest, from other poems of mine and drop into “the autobiographical subject”, in fact! Both, for me, as you suggest, are, I think, playing with what-it-means-to-be-a-person//how-do-I-do-personhood-on-a-page. In terms of their (great term, by the way) “political-aesthetic zones”, I think both are interested in the question of what space is left for “individuality” for someone operating within multiple political and social spaces. Both say things like “whose old history lives in me/and at what remove/and which fields may be exited/without harm”, or “excuse me/i have someone else’s feelings/excuse me they’re all in me/and i can’t get out”—I often feel inhabited by the shapes of behaviors that feel like they come from outside of “me” (whatever that is). I think a lot of people do. And, of course, I also feel inhabited by histories I don’t own, that I didn’t make, but from whom I inherit (often ineluctably) so much of my experience, my understanding of myself and the world, the spaces I get to participate in, etc., //things that feel like they (at least partially) “are” or “constitute” me, as a social subjectivity. Some of those things/spaces are gifts/privileges (many of them are/have been, for me—I’ve had a very fortunate life), some of them are patently not. This accounts, I think, for some of the poems’ tendency towards skittering, or towards a “looping non-arrival”—they want to be subjects, but they’re not sure how to be. The form is very much a part of this—the sonnet-ness of “primer fidelis”, perhaps most obviously, is a kind of historical “shape” or “behavior” for a poem, the same way the kinds of speech or dress or self-presentation one “tries on” are. Like, “I’m in 14 lines—is a poem now?”// “I used the word “I”—is a subject/coherent identity now”? In short, I’m interested in the play between what is inherited and what one can fashion for oneself, and how that happens both in life and in form. I love your characterization of the rhythm/language as “staccato”, also. And the idea of “candy” and “paradise” and “knives” as related, in the poem—now that you mention it, and as I go back through it [the poem], that reading seems really strong to me, but I didn’t think about it while I was writing. I write almost entirely intuitively, just following my “nerve”, as O’Hara would put it, but that also often means a lot of my preoccupations get into the poems in subterranean-ish ways. Both the staccato-ness, the speed, the skittering, and the slice/candy thing all feel part of a “weaponizing” or “defensive” impulse I feel, sometimes, I think, in real life. BWR: One of the reasons I chose “the autobiographical subject” as a finalist is its artful use of humor, almost bordering on cuteness, both as a tool of serious thought and as a subtle way of undermining any fixity of meaning the speaker may arrive at, emphasizing the poem’s slipperiness, its movements always in-process. How do you see humor, or play, working in this poem, and as part of your writing process more generally? KI: I’m so glad this is part of why you picked it! I think humor/absurdity/etc. are such a rich, and under-loved/used tool/joy in contemporary poetry. The first time I thought seriously about humor was in undergrad—I was reading French philosopher Henri Bergson’s book Laughter, in which he posits that, often, things are funny because of a collision between life and what is not life, //a rigidity. This feels very, very true to me, and is also now a central part of my poetics. So much of what I write is playing with/exploring the “collision” of rigid/un-life-like things (like systems, received behaviors, codifications, etc) with the “subject” (or, something that is or is trying to be “life-like”). Granted, I also think the idea of the “uncanny valley” (where it is difficult to tell if something is human or not) is quite productive, but in terms of my own poetics, the abruptness of a kind of “running-into” is often extremely energetic, I think. It’s also just true—life is often funny or absurd in this way. “Sequential” “abdicate” “cognizance” “enclosure” vs. “hurt” “smart” “track” “pound.” And then when you run them into each other, “it was a smart abdicate, track sequential. I have no better pound, no better enclosure”, it gives a kind of, as Luxembourgish poet Anise Koltz puts it, “frisson.” Germanic words feel “human”, to me, whereas Latinate words often feel “rigid” or “systematic.” Ramming the two into each other is like Bergsonian humor. At the very least, it makes the language more interesting, I think. Also, I think humor is, or can be, fundamentally subversive—it’s like irony, but more joyous, for me. To be dramatic, I think it can let you upend systems, or at least shake them around a little bit, find gaps you can live in, for brief bits of time before you have to find new ones. I think also that our/my generation is often only able to get to sincerity via irony (at least, in artwork)—that being directly sincere in a poem can often (but of course not always!) fail to be or register/hit the reader as true/feel-able sincerity; it has to be cut with an awareness of its own fragility and contingency, etc.—and irony will do that, for you. You just have to be careful not to let it become cynicism, I think, that’s the real risk—I do feel that cynicism basically always ruins art of any kind. I’m obviously indebted, here/in my thinking about irony, to ideas of camp and queerness/ing—I think so much of the richness and tonal subtlety of contemporary art is borrowed from these two sources. I think it makes everything more interesting. More complex, and sometimes more confusing, but ultimately a lot (a lot!) richer. BWR: What have you been reading lately? What has struck you as especially impressive, pertinent, or important? KI: Oh, so much! That’s one of the wonderful things about MFA programs—they make you read so much. I still, near the end of my second year, always feel as though I’ve read like an eighth of what everyone around me has read. I’m currently reading C.S. Giscombe’s Prairie Style and loving it. Recent poetry things I’ve read and loved/been struck by/think are important include: Blackacre by Monica Youn, Mercury by Ariana Reines, The Feel Trio by Fred Moten, George Herbert’s collected poems, My Enemies by Jane Gregory, Solar by Kevin Holden, and It Is Daylight by Arda Collins. Non-poetry recent things (for me) include: Geoffrey Bennington and Jacques Derrida’s collaborative/puzzle/game work, best known for the part Derrida wrote, Circonfession. I read it in a different theory class at UIowa, with Kevin Kopelson, but it really changed my idea of “where” a written work could happen—that it could be located, perhaps, in an interaction between texts, rather than in either of them. Maybe that’s already been obvious to everyone else for a long time, but the way they do it in that book was really surprising/pleasurable/a discovery, for me. Wayne Koestenbaum’s essays, especially in My 1980s (his poems too—I am in awe of The Pink Trance Notebooks). Also, Wittgenstein’s Tractatus Logico-Philosophicus—I’m still reading it, not done yet, but the problem/failure of trying to represent the structure of language in language itself is deeply interesting to me. BWR: What writers and artists do you return to for inspiration and/or kinship? KI: I actually turn mostly to not-writer artists for inspiration and kinship, though I love and have learned so much from the New York School poets, Beckett, Richard Siken, Pynchon, Pound, Louise Glück, Eliot, Aimé Cesaire, Milton, Hopkins, Shakespeare (annoying to say, I know, but I do mean it), and, oddly, Frederick Seidel. I think a lot of what Seidel has written is, um, ethically questionable, at best, but he has (what I consider to be) a singular mastery of tonal variation, and of what one of my professors, Joshua Scodel, called “chirpy rhyme”—his use of form and rhythm to be ironic or to undercut the “content” or propositional claims of the poems has been and continues to be a teacher, for me. I turn mostly to visual artists, musicians, and dancers for inspiration. I’m from Atlanta, Georgia, and am particularly partial to the new wave of Atlanta rappers/hip-hop artists, including Lil Uzi Vert, Future, Migos, Rae Sremmurd, Young Thug, and others. I actually teach some of their work in my classes—I find their flexible use of the syllable, innovative cadences, joke-y bravura, irony, posturing, and use of blurred and/or non-representational language really inspirational for my own poems. I love the glitch/fluidity of Les Twins’ dance work, and the alien/Symbolist beauty of Pina Bausch’s pieces. I have studied/made visual art for a long time, in both formal and informal contexts, and a lot of my poems are driven by an interest in visual art. I am particularly inspired by the sculptural work of Louise Bourgeois, Anish Kapoor, Eva Hesse, Jun Nishida, and Martin Puryear. I really love the paintings of Kerry James Marshall, Albert Oehlen, Franz Kline, Parmigianino, de Kooning, Joan Mitchell, Chris Ofili, Sigmar Polke, Christopher Wool, and Dana Schutz, among many others. Photography of Hiroshi Sugimoto, Sarah Charlesworth, and Francesca Woodman, and the work of collage and multimedia and/or installation artists like Wangechi Mutu, Sarah Sze, Hannah Höch, Robert Gober, Katharina Grosse, Ryan Trecartin, and Mike Kelley. Theirs aren’t the works whose “tools” I find myself wanting to borrow, with a few exceptions, but those are the things/people that/who make me believe in art, as something worth spending one’s life trying to make and/or study. BWR: What is the best piece of writerly advice you’ve ever been given? The worst? The worst….I don’t know. Lots of it. Bad advice can be really useful, though—it’s like something you have to fight your way out of, if you choose to pick it up/put it on. I do believe the work will tell you it’s bad advice, though, eventually. You just have to try to listen to it. And then, having sort of clawed your way out of the bad-advice-hole, you understand your work better/get better at listening to it. KI: Well, I wrote a “book” (I think it’s a book?) of poems responding to the Bayeux Tapestry this summer, which I’m working on revising. I’m also working on my thesis for my MFA program at Iowa, and a visual art/poetry combo project. In the fall I’ll be starting in the English Literature Ph.D. program at UChicago, focusing on text/image relations. I also want to get back to making visual art. ///an unresolved tangle. BWR: What emerging writers would you urge the world to read right now? KI: ! Many. Actually, I would list some of my friends from my program—they’re amazing writers, but mentioning them by name would feel a bit tacky, I think. People whose work is already more in the world, though: Laura Warman, Emily Skillings, Sean Henry-Smith, Hannah Brooks-Motl, Jane Gregory, Kevin Holden, Ossian Foley, Vanessa Roveto, and Simeon Berry.